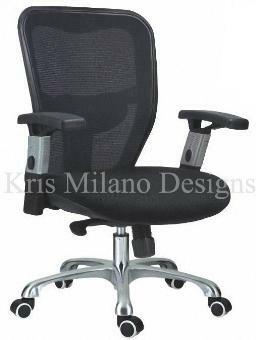 Kris Milano Low Back Chairs are designed for a long comfortable seating. 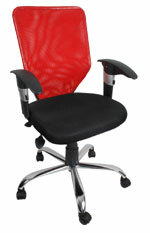 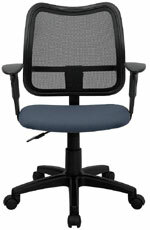 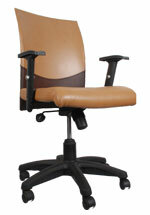 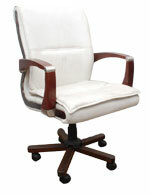 The mesh back design ensures superior air circulation making the chair perfect for the Indian conditions. 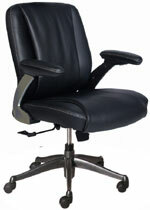 High density foam seat covered with a luxurious hard wearing PU leather or cloth. .'Multijust' arms with swivelling arm pads not only adjustment in height easier they also provide unobstructed desk clearance area. 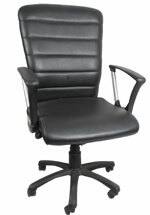 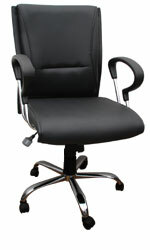 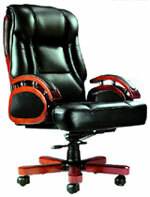 Black base with stylish high gloss inner covers is very durable.Chair is also available in Chrome base. 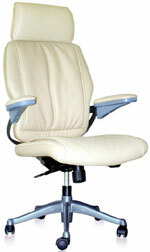 Send an email to Support@GharExpert.com if you need more information about this product.